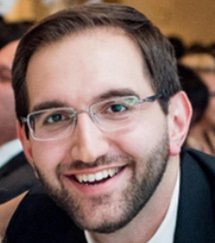 Michael Yekikian is the lien resolution specialist at Greystone Management Services. Prior to joining Greystone, Michael has worked in the field of Plaintiff personal Injury law for the past 10 years. He began working at a prominent law firm immediately after finishing his undergraduate degree where he tackled any obstacle involved in pre-litigation, litigation, as well as post settlement lien resolution. Throughout the years, Michael has successfully resolved countless statutory and non-statutory liens with the ultimate goal of ensuring the client walks away with the maximum recovery for every case. Years of experience has helped Michael utilize different methods to address difficult statutory and non-statutory liens which has lead to significantly reduced reimbursements or at times, complete waiver of their reimbursement lien rights.